It's no secret here in blogland that I love Louisiana. I enjoy a good party, too, and certainly more in my younger years. That, people, is just funny. I googled Mardi Gras and found the frog pic. Awesome. 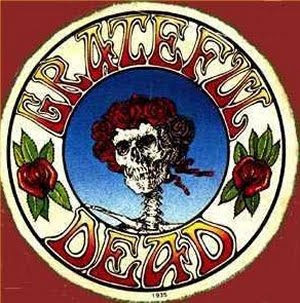 And, while my list of crazy adventures is long, I must say my most memorable was our trip to see the Grateful Dead in St. Louis. No tickets, little money, zero plan......just a love for the music and the hope that it would be all that we had heard. And, it was. Oh, how it was. I also have plenty of stories to tell from the streets of New Orleans, but most of those are sealed in the vault. Today is Fat Tuesday. The biggest party of the year. Tomorrow brings Lent and we'll prepare for the coming of Christ, we'll sacrifice and pray, we'll be reminded of goodness here on earth. But, today is the party. ***So, in honor of this fantastic day of fun, let's reminisce. What is your craziest adventure to date? Omg @ that frog pic. Ha. I don't have a crazy adventure story. Having a baby really young and not ever wanting to leave her will do that. I'll be tuning in to other people's stories though. Mine involves a Halloween trip to New Orleans that is probably not appropriate to discuss on a public blog and may tarnish my squeaky clean image. HA! Another involves a road trip across country from DFW to Greenville, South Carolina, Macon, Georgia and Mississippi to see Widespread Panic. All in a 1992 Honda Accord that had a Beastie Boys tape stuck in the player the ENTIRE trip. Fun times, I tell ya. Can not wait for Coco's! I know she has a good story! That is too funny..I must say I like a good celebration but I really do not think I could do that! Happy Mardi Gras..one day I would love to go. Wow.. my craziest stories both took place in NOLA.. I guess the one that is the safest to tell is..
Me, Rebekah and Alicia head down to NOLA to shop. Afterwards we decide to get a few hurricanes and then go to the infamous bar - The Dungeon - that doesn't even open until midnight. To make a real long story short.. while waiting for the bathroom so girl came and threw up on Rebekah..the girl who WENT(yes, we sawh her) in the bathroom NEVER..NEVER came out. We started banging on the door then opened it and she was no where to be found. Freaked out we left our pitcher of beer and the hells, bells out of there!! My wildest adventure is sealed in a vault too .. let's just say I remember thinking the next day I could never run for politics - good old conservative me! Dee - The Dungeon has secret doors and tunnels. It was one of my favorite places in New Orleans! Mine is definitely, recently locked in a vault....it involves Mexico, the beach, at night, and a hell of a lot of wine....great times! That is one crazy picture! I don't have one. My life has been pretty boring up to this point. Unless you count me shitting in my pants crazy? Carrie....we need to get Case and go to New Orleans! and it makes me sad that i can't answer this question appropriately, with some ridiculous adventure that i should be embarrassed to tell. I have tons of crazy stories...some of them involve low riders in Honolulu and most of them involve too much booze, trips and friends all over the country. All I need is a partner in crime to egg me on! 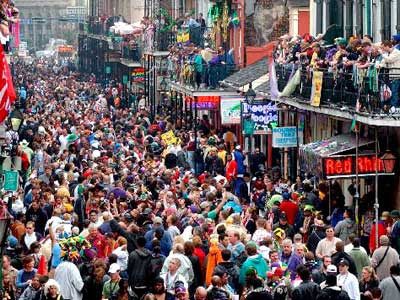 I have never been to New Orleans, but I think that Mardi Gras would be wild and tons of fun! You know the saying "What happens in Vegas stays in Vegas!". I think my crazy adventure stories need to stay locked up! My college years and then single days before marriage were adventuresome. I did jump off a bridge into a river when I lived in Kansas City though. Don't ask me where it was in Kansas City though. I just remember being up on the bridge and having my legs shake. I don't really have any crazy stories as well. I'm not a big drinker so I guess that is part of the reason. Nothing against drinking, just don't like the taste of most of it. I did ride in the trunk of a car one time, but wasn't drunk, just stupid. Now I cringe at the thought that if someone had rear-ended us, we would have been smashed. I've got too many crazy stories; past and present! But... my lips are sealed! OH.MY.WORD. I have no words after the frog picture. New Orleans scares me. I think Coco and I are in the same boat! I have lived a very sheltered life! I obviously need to get out more! That frog picture is a HOOT! it involves 4 friends, one road trip, and athens ga. that is all i am at liberty to say. The frog pic almost did me in. I've been t NO a couple of times, but never during mardi gars...I cannot even imagine! My craziest adventure is being a mom. Honestly, I am not much of an adventurer. Although, my friends and I used to stalk pro hockey players and I once picked up a guy at a bar and took him home...THANKFULLY sobered up and took him to his home instead! Dying about that frog picture... oh my word.... hahahahahahahahahaha. i saw something very similar the only time i went to mardi gras.i can't remember what was painted on the woman, but it took me a second to realize what she'd actually done. but i never really did anything crazy. i was boring. actually, i think i'm still boring. I have something on both my blogs for you. Stop by when you have a chance and check it out. I so love reading and learning from you so had to share you with all my other friends. Take care and have a great evening. God Bless!!! Hmmm, I was in a sorority so there were a lot of crazy moments but I am sure pretty tame compared to the pciture :)! That picture is hilarious! WOW. That is froggin' HOT! That takes some balls, gotta hand it to those ladies. Um, mine are all stored away in that vault also. I threw that key away a while ago. But it was probably for the best! Um, I about died at the sight of frog boobies to begin with and then Nicholas said "Mommy are those eye boobies???" I DIED then. 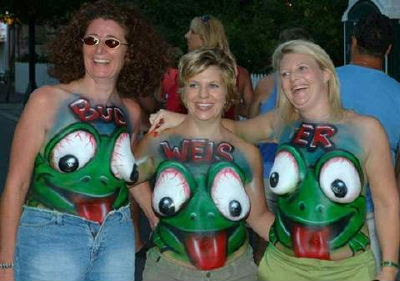 And said, " No baby those are just silly frogs, aren't those t-shirts cool?" While Jim and I were driving truck we got to be at a Hard Rock Cafe Concert in LA. I got to meet Dan Ackrod and John Candy. While walking around with everyone....no they never knew we were around, we were just truck drivers and just were always just part of stuff. John Candy knocked me down, stepped on me and then proceed to pick me up like I was a sack of potatoes. He brushed me off, kissed me on the check and said he was sorry. Was I okay....did I need anything..? ?...And me...I just stood there with my mouth opened and said nothing, nothing at all. I was in shock of glee I got to meet this great man. I do wish I could of said something or even nodded my head but he just smiled, sorta tapped me on the head and kept going. It was awesome, fun and a bit embarrassing but it was fun...I know I said that already but it was. While driving truck Jim and I got in a lot of stuff, some good, some not to good. One day I just might have to share a story or two with you all. Like down town China Town or our dog having puppies in down town NY on a one way street with me going the wrong way on it (in our sleeper bed none the less) or being in a Chevy commercial in Las Vegas or being with Disney on Ice for 8 months. It was a cool life, hard at time, a learning experience all the time and one day I would really love to do it again. You just never know what life will bring. Okay, you asked, I answered .... long winded sorry. Take care and have a great afternoon. God Bless!!! OMG! That pic is too funny!!! We had a blast on Fat Tuesday at Mardi Gras here in Galveston (nothing like New Orleans)! I've had some pretty crazy adventures, but I don't know if I want to let the world know what they are! I'm a mom now! Yikes if they ever got out! Oh, I have two NOLA stories that are pretty good. Great fun. But the best story I have is a week in Cancun where I broke my ankle the first night because it is apparently very difficult to get off a bus at 3AM after being at Carlos and Charlies. The broken ankle didn't slow me down much and then I had to return to student teaching on crutches and make up a story for my students.